While I may not be a pro in the kitchen, I love to experiment with food. As a teen, I remember tearing out desserts recipes from magazines and creating my own recipes scrap book. The book contained more sweet than savory recipes and I eventually made my first dessert- a decadent velvety rich chocolate mousse. After that, no matter how much I tried I couldn't get the recipe right. There's an art to cooking...the mixing, the tempering, the melting and everything in between. Fast forward to me as an adult- I've made numerous desserts at home (let's not talk about the savory, because I'm still perfecting them) including Banana Chocolate Chip Bread that didn't last more than an hour. It makes me smile knowing I'm not as bad in the kitchen as I feared I would be. And hey, if your brother asks you to make Oreo and Chocolate Truffles again, you know you're getting there. 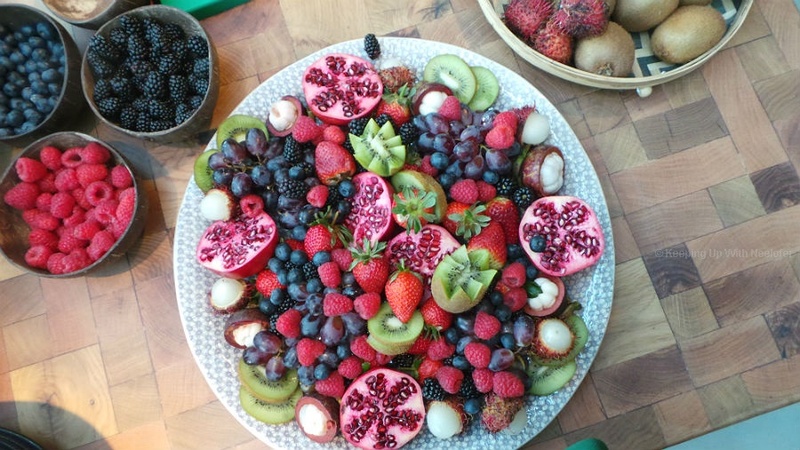 So, when I was invited to Zahra Abdalla's cookbook launch, Cooking With Zahra, I was ecstatic. 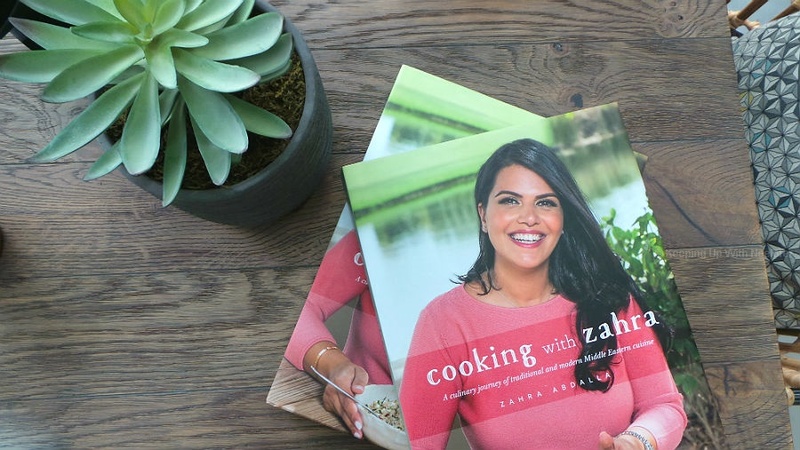 Zahra has her roots in the Middle East and her book is a plethora of Arabic gems when it comes to appetizers, main courses, snacks and desserts. She's done a modern take on some of the recipes and when I got my hands on the book, the recipes were a delight to read. From the Parsley and Pomegranate Salad, Saffron Chicken with Freekeh to the Arabic Spiced Roast Chicken with Potatoes and Carrots, and the Mango Kunafa Cups, the book has you covered for the year. 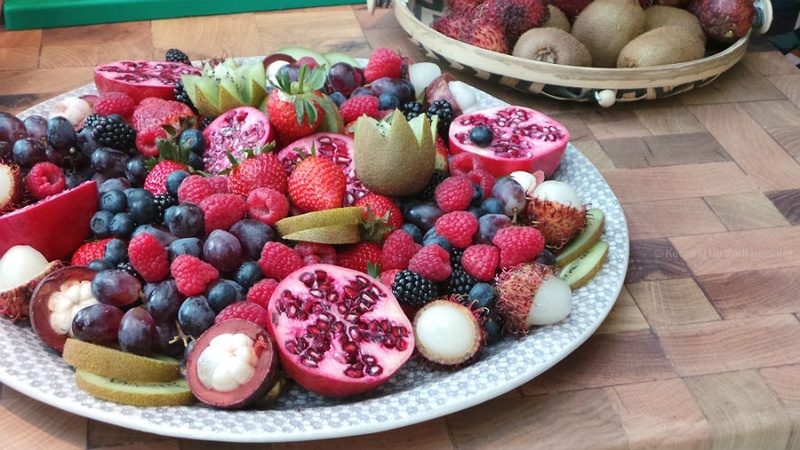 While at the launch, Zahra dished a handful of interesting tips on how to serve something as simple as a fruit platter. 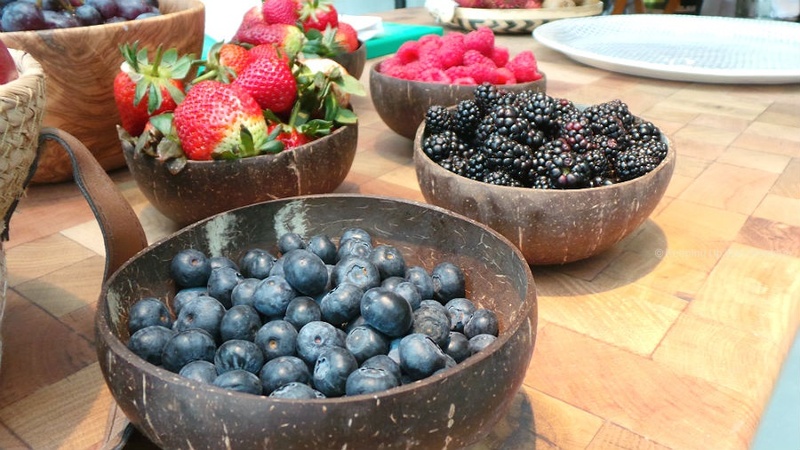 My fruit bowl at home sits atop a table or on the kitchen counter and it looks boring. Unless I'm making a fruit pie. To this! How visually appealing does the presentation look? And what a beautiful medley of vibrant colors? Zahra advised us on placing the biggest fruit on the rim of the plate (pomegranates) followed by filling it up with the smaller berries. She also mentioned something I had no idea about- that you could eat Kiwis with the skin on! I've always cut it in half and scooped the fruit with a spoon. I don't think I'll be eating Kiwis with their skin on, though. When it comes to dessert, I had Zahra's Double Chocolate Biscotti. The double baked biscotti are not only easy to make but also incredibly delicious. The chocolate with the toasted almonds makes this want to throw my no-sugar diet out of the window. On that note, her recipe on how to make a Ginger Carrot Soup is on my To Make list! 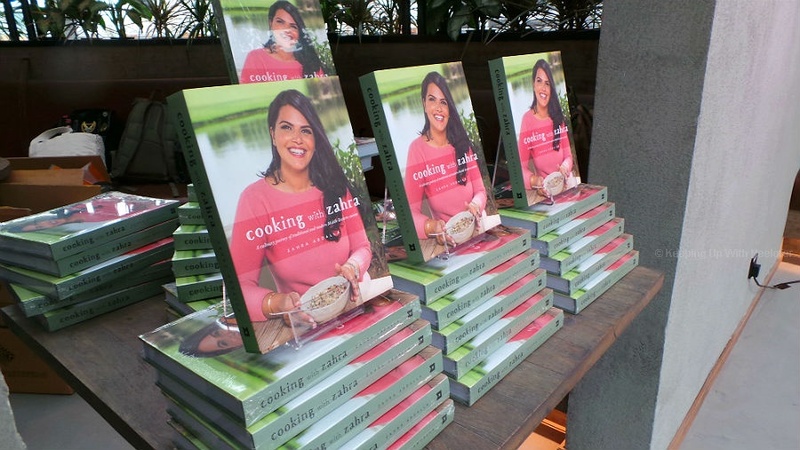 The book, Cooking With Zahra is available across key retailers in the UAE.